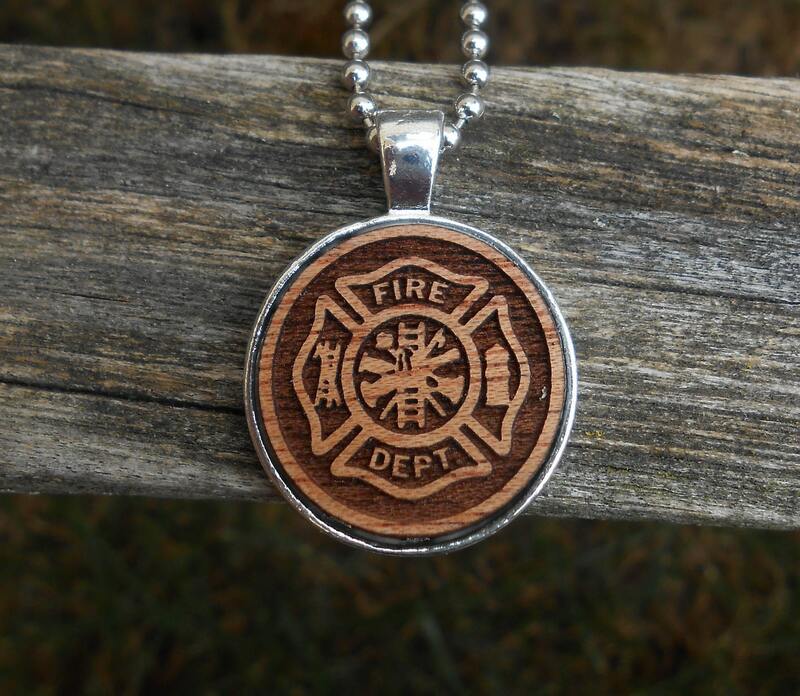 This awesome necklace is perfect for a firefighter! 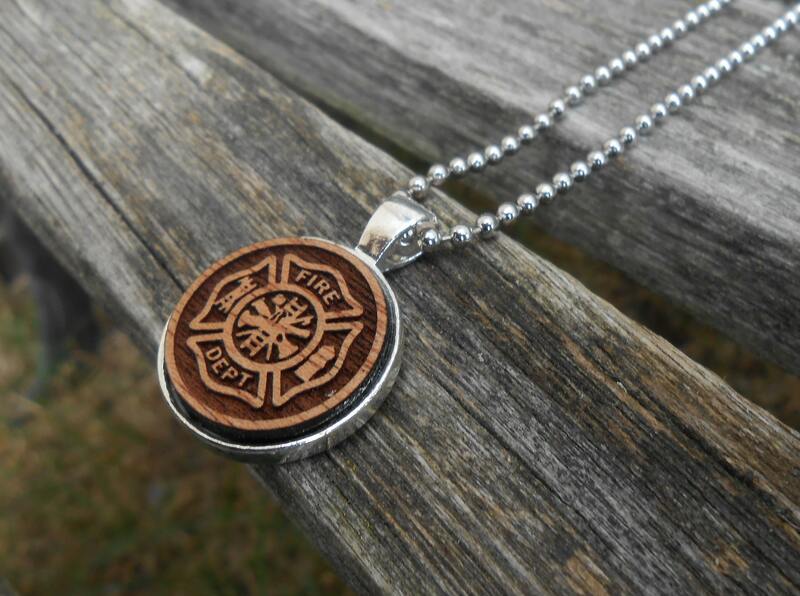 The insert is made from Cherry wood and has a Maltese cross engraved on it. This would be a great gift for any time of the year! Perfect gift for Father's Day, or a birthday. a groomsmen gift, or just because. 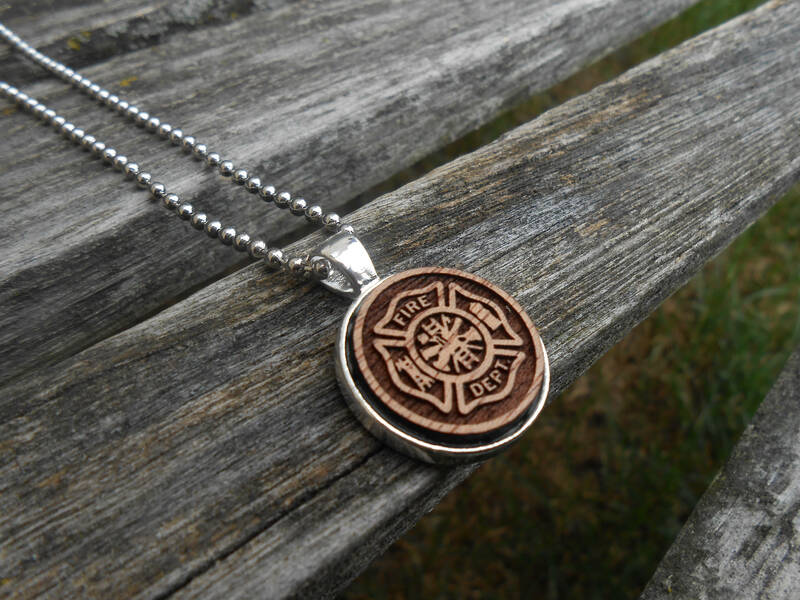 This listing is for one pendant and one chain. 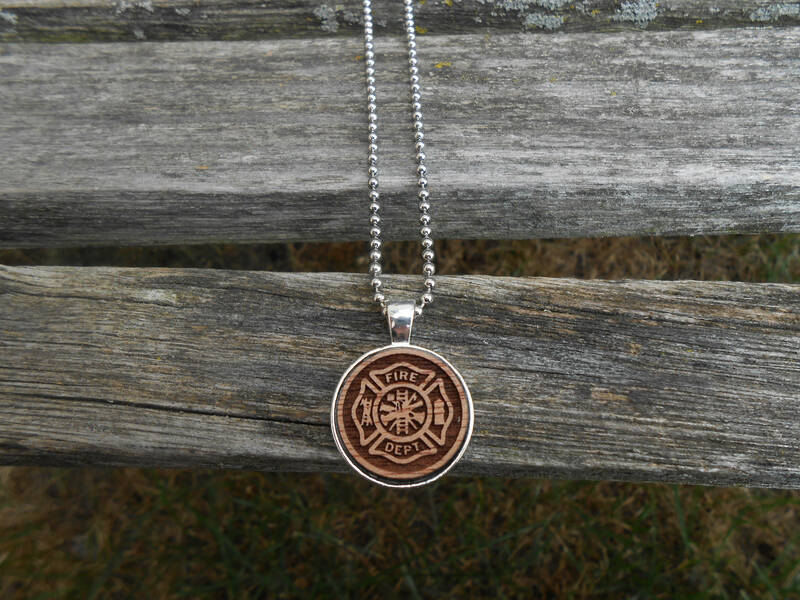 It is silver plated and measures 20mm. 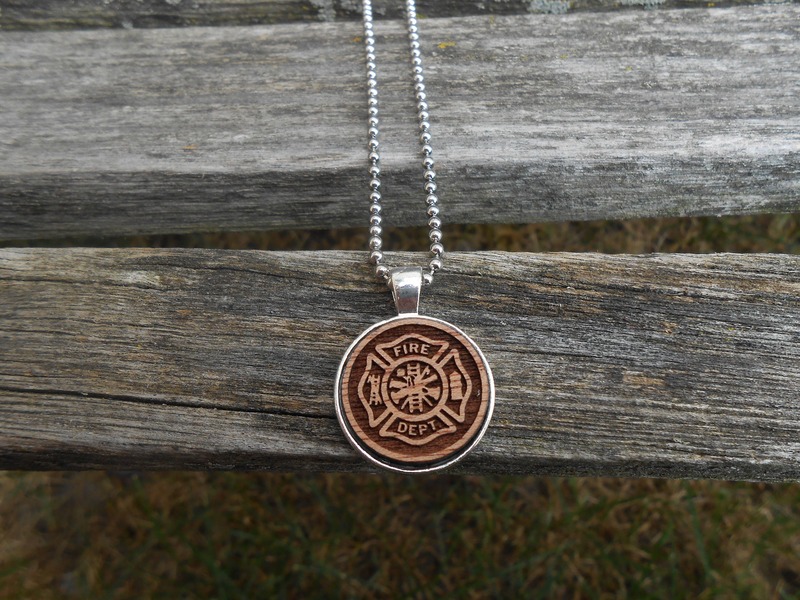 You can choose a ball chain or a regular chain at checkout.